When dealing with a divorce, such as an uncontested divorce or a collaborative divorce, or when dealing with another family law related issue, such as alimony or paternity, you need to be confident that you have an experienced advocate on your side that you can fully trust. At our firm, we recognize the stress associated with this area of the law and the personalized way in which it will affect you. For this reason, we are deeply committed to providing our clients with the high-quality assistance that they truly deserve regardless of the extenuating circumstances that they are dealing with. An aggressive and experienced criminal defense attorney with an extensive knowledge of Florida law and its courts based on experience as both prosecutors and public defenders is key to your success. Defense attorneys who have chosen to focus on criminal defense law because they are passionate about helping others will help you win your case. Many are dedicated to drawing on their prosecutorial and defense experience to help each client reach the best possible outcome they can achieve. Our law firm focuses our practice on defending the accused and representing our client as a person rather than a case number flowing through the criminal system. We represent clients in all kinds of criminal cases in Federal and State courts in this area. There are many benefits to hiring an immigration lawyer. 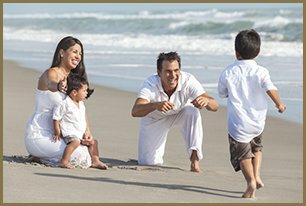 First and foremost, an immigration lawyer is knowledgeable in all aspects of immigration law. Our experienced immigration lawyers are able to properly analyze your situation and needs, verify that you are filling out the correct application, advise you of the best course of action to pursue, and work with you closely through the entire immigration process. We are committed to representing your interests.